This beautifully bred Appaloosa Stallion from the well respected Exbury Stud was sadly never competed due to an accident as a youngster. 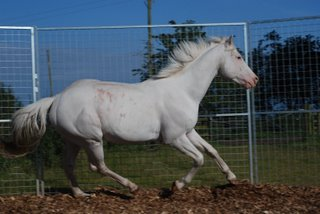 He was however related to many winners and he had beautiful movement and conformation. 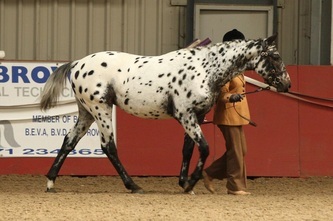 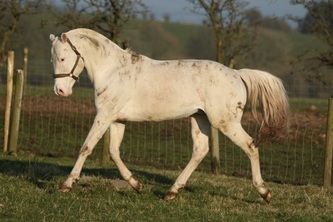 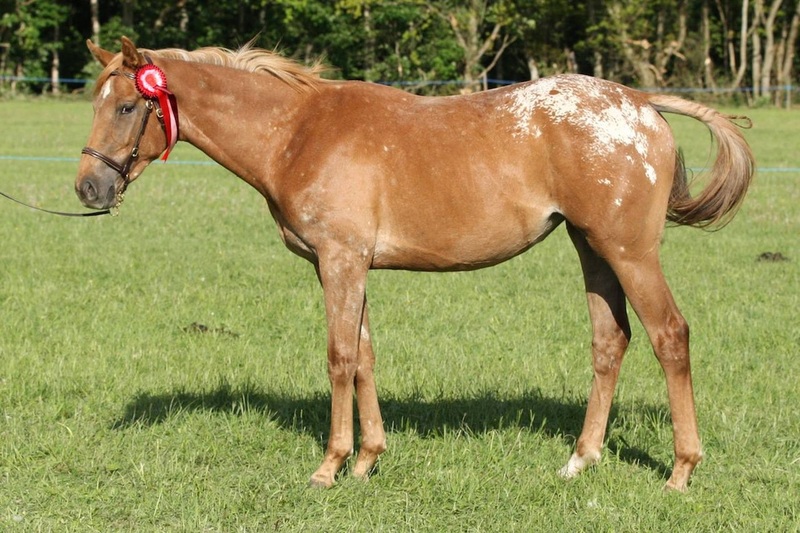 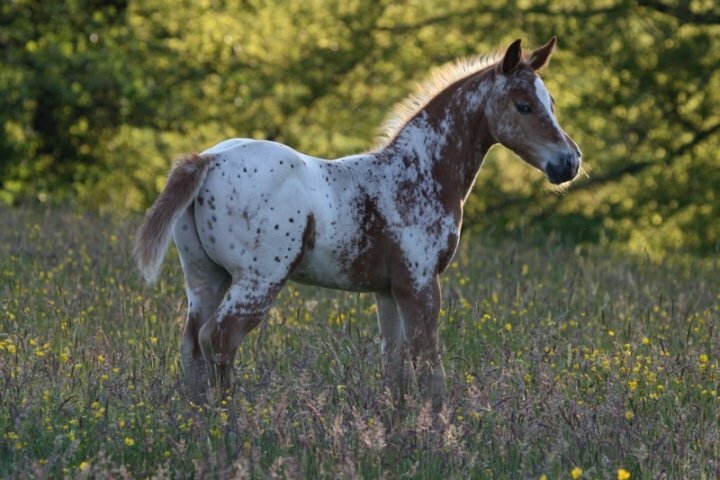 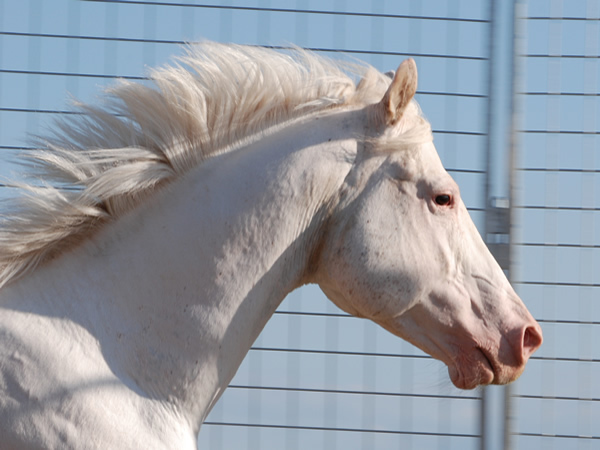 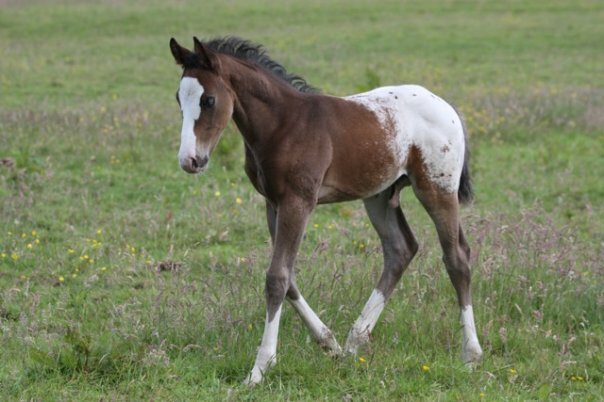 A true few spot stallion, Exbury Ghost put a spotted coat pattern onto all of his progeny (though some have taken until they were yearlings to show their spots!). He threw leopards, blankets and snowflake patterns in an even ratio. 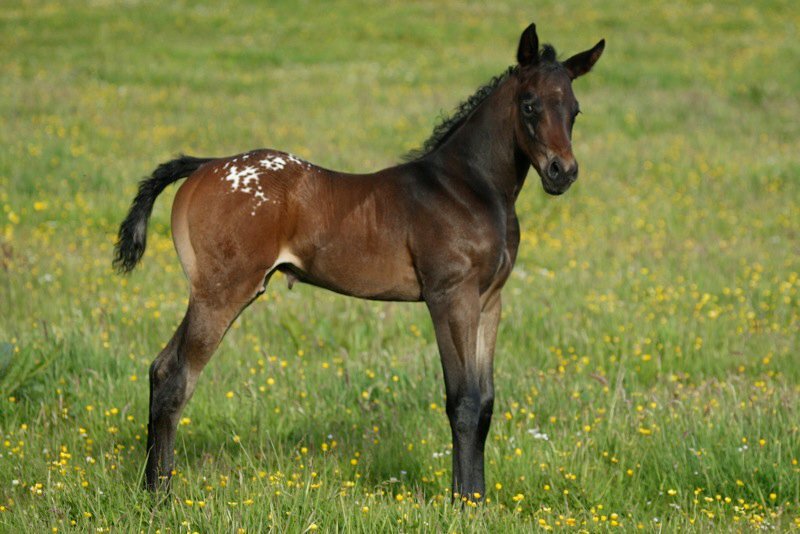 More importantly, all his foals move well, have great temperaments and beautiful heads. Exbury Ghost was tested and did not carry the grey gene. He could not produce a grey foal unless bred to a grey mare. 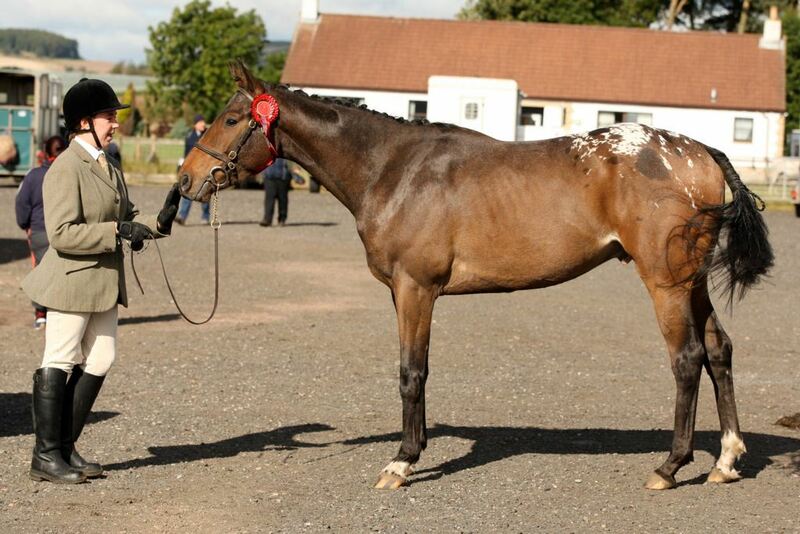 Sadly put down due to Injury in July 2013.